Alleppey, which is also called as Alappuzha, is a coastal district of Kerala. Alleppey become famous for many reasons like the beautiful combination of lakes, lagoons, crisscrossed narrow canals, rivers, coconut palms, paddy fields and many more. Earlier Alleppey and near by areas are low laying wet lands. These wet lands are part of Vembanadu lake which originates from Astamudi Lake at Quilon till Kochi. The Maharaja of erstwhile Travancore state has given permission to reclaim these wetlands and converted these wetlands to fertile paddy fields due to increasing needs of rice for local people. Reclamation of wetland system started in 1832 and by the end of 1984 approx 2300 hectors of land has been reclaimed. Two thirds of the total vembanadu lake has been reclaimed or converted in to paddy fields. When this vast lake reclaimed and converted to paddy fields, many big and small canals and rivers are formed. More than half of this area is now known as Kuttanad, which has vast paddy fields, lagoons, small canals and rivers. Most of the small and narrow canals are located in Kuttanad. Alleppey, being a coastal district one side of Alleppey is beautiful canals and rivers and other side is the Arabian Sea which is Alleppey beach. What makes Alleppey a major tourist attraction? Alleppey is a coastal town where one side is the Arabian Sea and other side completely covered by rivers and canals which is known as Alleppey backwaters. There are many big and small canals. Both sides of these crisscrossed canals and rivers are beautiful lagoons, green paddy fields, coconut palms, local village homes which are not available in any other part of the world. Local people live on the banks of these canals and these canals and rivers are part of their daily life. Road access to these villages which are surrounded by small canals and rivers are limited. Therefore, most of the local people are depend on water transport ie small rice boats or country boats/motor boats to move from one place to another place. Still in some part of the village, one can see moving small country boat sells ethnic items to the villagers who are living on the banks of canals and rivers. All these make Alleppey a major tourist attraction place. Another important attraction of Allepepy is the famous and exciting water sport called snake boat race is organized at different canals in Alleppey which attracts the largest crowd from all over the world. Alleppey backwaters with houseboats will be a best combination for the spending leisure time. What is to see or How to explore Alleppey Backwaters? Many of the guests used to ask this question more frequently. 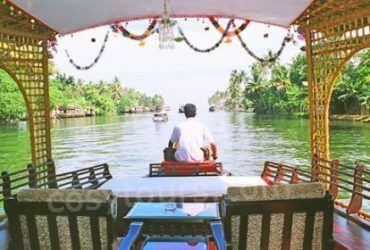 The main attraction of Alleppey is small and big canals, lagoons, green paddy fields, small country boats selling ethnic items – a verity of birds from Kingfisher, sea grate, eagle etc all these makes Alleppey backwaters an an unforgettable experience. 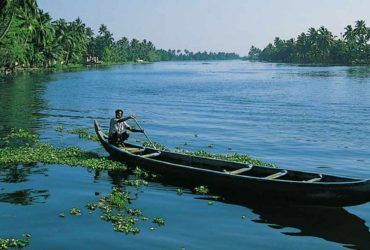 To experience this, one need to make an Alleppey trip through the small canals and rivers. To make a trip through canals and rivers, one need to use any means of water transport like houseboat, wooden country boat – as generally called shikkara, speed boat, motor boat etc. Visit of Alleppey backwaters is not possible by road transport. How long does it take to see Alleppey backwaters? The Alleppey backwaters are extended to approx 300 sq km. To visit most beautiful places in Aleppey backwaters which include the scenic place like Kuttanad, Kainakery canals, minimum 2 days in a houseboat is required. But short trip of 3-4 hrs in small canals is also possible to see the glimpse of Alleppey canals. There are different options available to do a trip in the backwaters. Houseboat: Most attractive and relaxing way of exploring Alleppey backwaters is by Houseboat. Houseboat provides a bed room, attached bath room, an open deck, a kitchen and 2 or 3 service man at the disposal of the guests. A 2 ni 3 days trip in houseboat can cover most beautiful canals of Alleppey. An advance booking is definitely required. 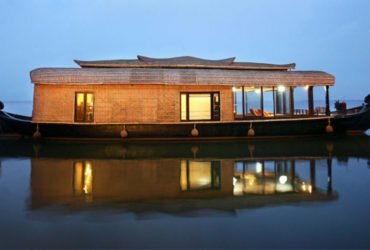 Read our below article to know more about houseboat and booking procedure. Motor Boat: Small and big type of motor boats can accommodate 10 to 100 people depending upon the size of the boat. Most of the motor boats have a top floor also. It may cost approx Rs 700 – 1000 upto 8 adults per hour. No advance booking is required and most of the time a motor boat is available. Motor boat is available in all the main boat Jettys in Alleppey. Shikkara: A shikkara is powered by diesel or petrol Yamaha engine, can accommodate 2 to 8 adults depending upon the size of the boat. It may cost Rs 700 – 900 per hour upto 8 adults. This cost may go up if there is huge demand and less availability. No advance booking is required and most of the time a shikkara boats is available. Since the country boats and shikkara is small, those who are taking this should ensure that the driver is having a license and all other security precautions are available in the boat. There are many accidents reported and all these accidents are due to inexperienced drivers. A shikkara boat can be hired from Rajeev Jetty at Alleppey. Kerala Govt Water Transport Service Boats: These boats are operated by Govt of Kerala Water Transport Department, which run these boats to connect different islands for local people. This is a good option for those looking for low budget travel. Most of the time one may not find seats due to local people traveling and some time there is no boat as per the schedule. 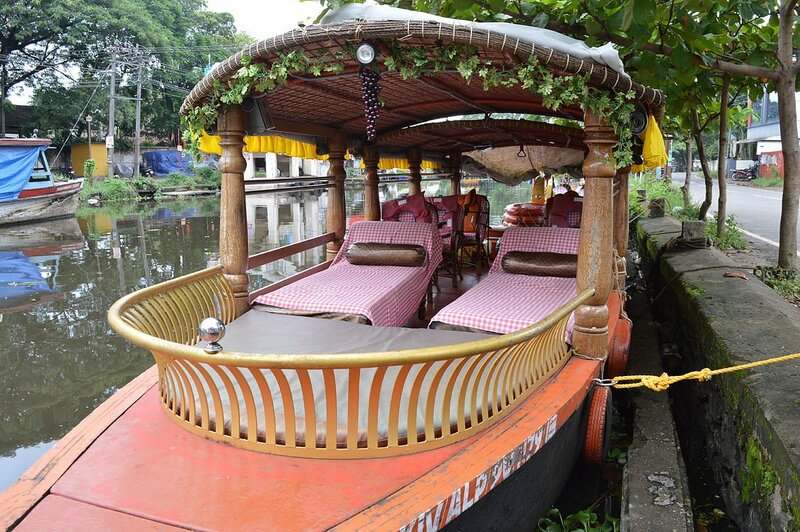 The service boats are available from Alleppey Boat Jetty – which is a walk able distance Alleppey Bus Stand. Below are the some of the routes tourist can avail which travels most of the narrow canals. It cost approx INR 40 per head for one way trip. Alleppey Jetty to Kainakary – in takes almost 2 hrs for a round trip. Alleppey to Kottayam – this is idle for those who are going to Thekkedy from Alleppey. Kottayam boat jetty is 1 kms from Kottayam bus stand. Alleppey to Kollam (Quilon) – this is idle for those who are going to Kovalam/Trivandrum from Alleppey. The Port Authority of Kerala insists to have license to all these boats and do periodical inspection to renew the license. Still, those who take the service should ensure that they have proper life jackets and security precautions taken care of before hiring the boat. Houseboat Day trip in Alleppey Backwaters. Backwater trip in motor boat / shikkara boat. Alleppey – Kollam or Kollam – Alleppey motorboat backwater trip. Cheapest Backwater trip in Alleppey. Bicycle tour through villages of Alleppey. Hiring a taxi in Alleppey is very easy. There are many agencies available who provide taxi service. Below are the places from where guest can hire a taxi. Alleppey Rly Station. A taxi stand is available inf. There is no agency providing bicycle or two wheeler rent in Alleppey. Some of the resorts have its own bicycle available for the staying guests. District Tourism Promotional Council have an office in Rajeev Jetty, which is near to State Transport Bus Stand Alleppey. DTPC does not operate any of the tour packages or motor boat etc and working as an information provider. 1st of every month is being observed as dry day in all Kerala and all the bars and Beverage outlets will not be open. 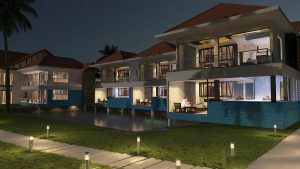 There is no Night clubs, Bar or Discotheque is available in Alleppey. No direct Bus. Alleppey to Chertala and Chertala to Fort Kochi. Vegetarian / Non Vegetarian Restaurants in Alleppey.